Being able to connect to the internet is an impressive feature that Tesla is introducing to its customers. 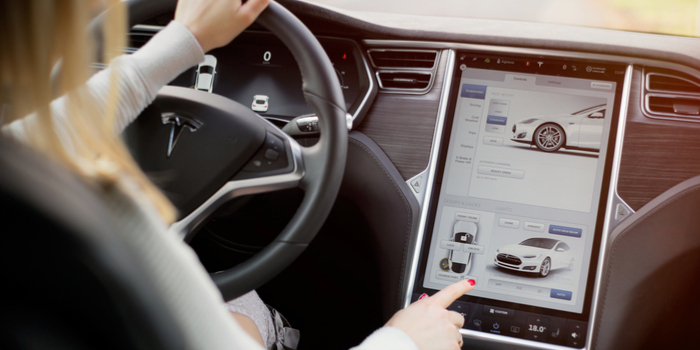 Since Tesla released the Model S in 2012, the company have enjoyed flaunting the cellular connectivity feature of their cars which is utilized for software updates, live traffic map and data, autopilot data and more. Although internet connectivity has been a somewhat standard feature since it was released, Tesla have revealed a "premium connectivity" package, available for purchase for those looking to boost internet features. This upgrade does not surprise us. Covering internet costs for a small fleet of cars is reasonable but Tesla are expecting to add 30,000 new cars to their fleet each money so it is logical to reassess the way things work. In 2014, a statement was released claiming that the internet connection would be free of charge for use in their vehicles for four years. Tesla stated "To further enhance the driver experience, new Model S customers will now receive free data connectivity and Internet radio for four years. As an added benefit to our existing model S customers, the free four-year period starts on January 1, 2014. To be fair to all, in rare cases a customer may be charged for extreme data use." Four years have since passed and Tesla are sticking to their word. Most Tesla owners will not be affected by the switch. If you are already a Tesla owner or are planning to purchased the Model S, Model X or Model 3 before July 1 you will receive internet access free of charge. If, on the other hand, you are planning to invest in a Tesla vehicle after July 1, you will have to chose between premium or standard connectivity. The standard connectivity package will be free of charge however it will only give you access to apps that do not require much data. For example, you will not be able to access live traffic data however the navigation system will work without a problem. What's more, with the standard package, if you want to update your software you will have to be connected to a Wifi network. That being said, if updates relate to safety, Tesla will still be able to use cellular connection to protect their customers. The paid, premium package will provide you with satellite maps, live traffic and in-car streaming of music and media with apps such as Slacker and Spotify. Costs have not yet been confirmed but we think that premium package customers will be looking at a price tag of $100 a year.